After sealing his TKO victory over John Hopoate, Paul Gallen sensationally called out cross-code superstar Sonny Bill Williams to face him in the ring. Gallen used his post-fight interview to send a message to Williams. "It's been a tough six weeks with boxing and the footy but looking forward to going back into footy and maybe get one more fight against the big dog Sonny Bill if he’ll come back out," Gallen said. The Cronulla Sharks captain described his performance against Hopoate as "probably" the best of his boxing career, and signaled his rising confidence levels as more reason to take on Williams. "I know he’s a tough guy, we’ve sparred each other before," Gallen said. "I held my own and I feel like I'm getting better." 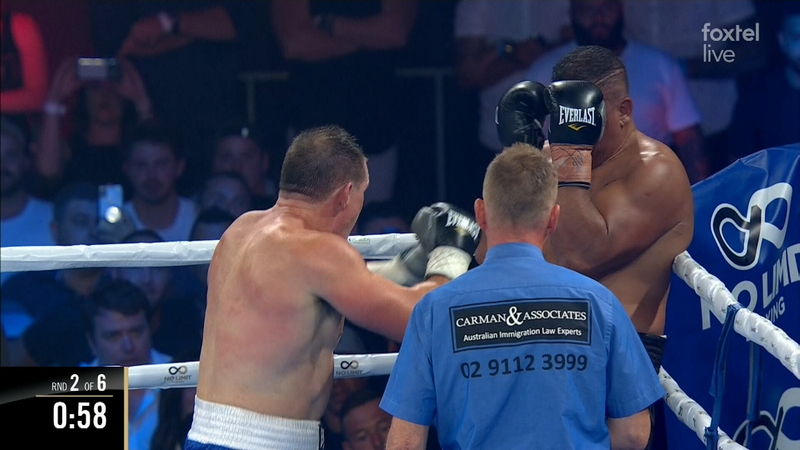 Gallen sent Hopoate to the canvas early in the second, with the stoppage coming quicker than Gallen anticipated.